StumbleUpon is an amazing tool for discovering the unknown online, and now that I've begun using it, you can expect to see even more random, inspirational imagery. 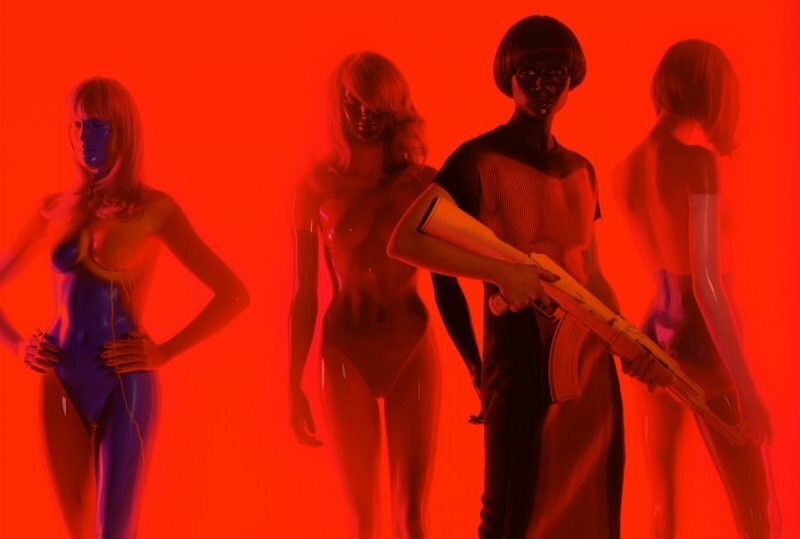 First up: the photography of Miles Aldridge. I was already familiar with the name of the Brit fashion photographer who has shot features for the likes of Vogue and Numéro. But I was blown away when I stumbled upon Aldridge's website and was able to see his colorful work together in one place. Tim Burton's inspiration for Alice in Wonderland, perhaps? I'm not-so-secretly in love with Lily Cole. Somebody's about to piss off some Catholics. Play between light and shadow outshines even lime green. Don't try this at home. I once burned the ends of my bangs this way. I have since quit smoking. "See? I can work in a muted palette." Crazy cat lady, 'nuff said. Good advice about burning your bangs! His work is so varied and eye-catching. I'm basically obsessed with the jacket. And the bangs. And the collar on the jacket. Cool pic!! I love Miles - you'll see I have a really bizarre Kitty Kat editorial shot by Miles. I love his use of colour, the boldness & the Bizarre factor! Will have to check that site out too. gorgeous selection of photos! the colors just pop out of the screen. wow I do love all these photos! so much creativity coming out of them! i love the vibrant colors in these images... it definitely adds a lot of drama to them! Stunning array of photos, darling! ive never used stumbledupon ill have to check it out! wow never tried stumbleupon before...but these image are awesome! Crazy beautiful amazing. Photos like these are what makes me love the art of photography and the storytelling you can do with an image. These chairs are so fun, never seen anything like them! LOVE IT!